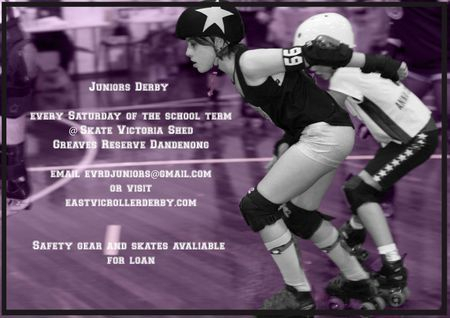 East Vic Roller Derby in affiliation with South Sea Roller Derby and with the sponsorship of Skate Victoria are proud to offer again in 2019 our Junior Roller Derby Program. The program is open to all school aged skaters, of all genders. If you can stand on your skates or are an accomplished skater, we welcome you all. Our program focuses on fitness, confidence, good sportsmanship, learning the game and skills development. 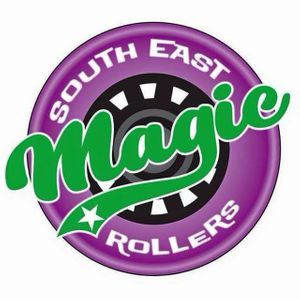 For our level 1 & 2 South East Magic Roller skaters we will be focusing on building resilience, and advancing on track strategies and gameplay. 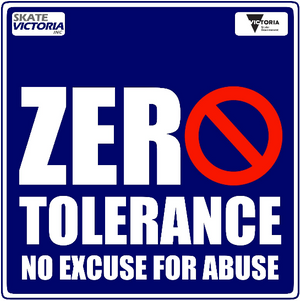 Sessions run every Saturday of the school term at the Skate Victoria Shed, Greaves Reserve, Dandenong. The sessions are split by skill level rather than age (we will divide into groups as required), with some overlap of levels. Please arrive 15 to 30 minutes before your allocated training time to ensure your child is geared up and ready to skate on time. *Please note that parents of primary school aged children are required to stay onsite for the duration of the session. Payment must be made in full before the second session of each term via direct deposit. If you have special circumstances that require a payment plan, please let us know so that we may consider it. Payment needs to be made either in advance by direct deposit or in exact cash (no EFTPOS facilities available). We can loan all of the above items to you (we have many sizes and styles available), we also have a small supply of skates (a range of sizes but limited volume). We advise parents to come down early as it is first in, best dressed. We also encourage parents to consider slowly investing in their own child’s gear and skates to guarantee your child will have access to appropriately sized gear. It is recommended to purchase this before session 1 however there will be Some mouth guards available for sale (SISU brand $40), it takes approx. 10min to prepare and mould for use. Mouth guards cannot be borrowed, only purchased. If you have any questions in relation to safety gear or skates you are welcome to either email us or speak to one of our coaches. On the 28th of November 2015, our EVRD/SSRD Juniors hit the track on wheels for Pirates vs Ninjas - their first ever non-contact bout. If you missed it - never fear, we have the highlights here!